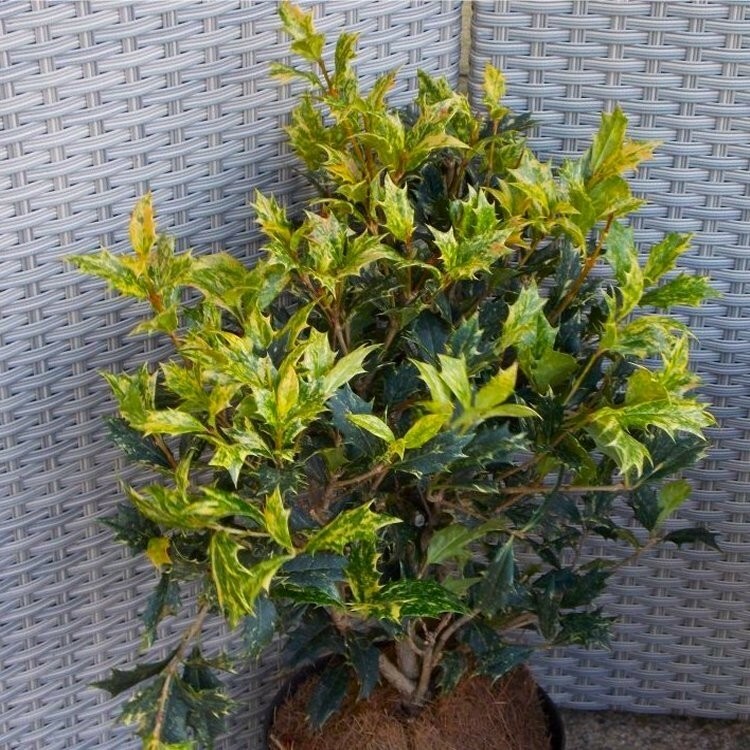 This beautiful evergreen shrub has glossy, dark green, holly-like leaves, conspicuously mottled creamy gold and pink when young, and scented, white, jasmine-like flowers from July to September. 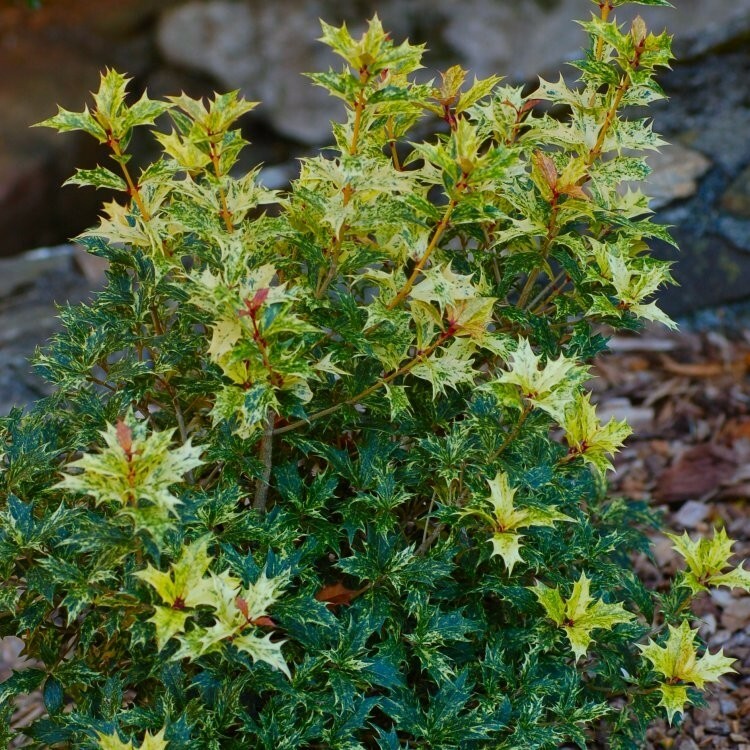 Slow growing and compact, it's a perfect container plant, or border shrub, providing all-year round interest in sun or dappled shade. Lovely bushy plants, supplied in approx 3 litre containers.